WASHINGTON, Apr 5 2013 (IPS) - Following the devastating 2010 earthquake in Haiti, more than a billion dollars of U.S. aid money has gone to that country with little transparency or accountability on how the money is being used, according to new data released by a watchdog group here. 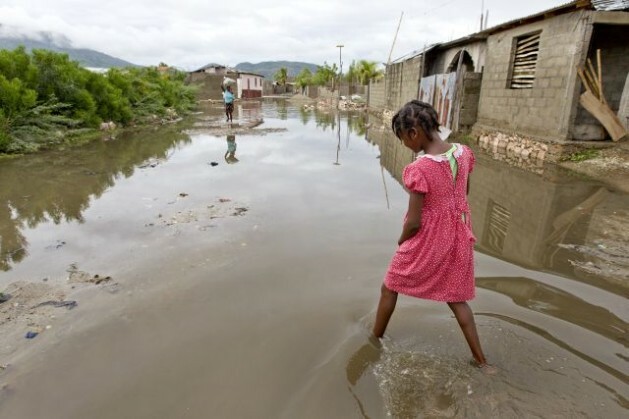 A report by the Centre for Economic and Policy Research (CEPR), a Washington think tank, identifies significant problems with the delivery of U.S. aid to Haiti, citing a lack of audits and evaluations, particularly on the part of the USAID, the country’s main foreign aid arm. There is a lot of resistance to change, especially when some of the largest recipients of contracts in Haiti are the for-profit development companies that have hired a lobbyist to push back on these reforms. Since the 2010 earthquake, CEPR authors Jake Johnston and Alexander Main write, the few evaluations that have been carried out on U.S. aid to Haiti present “a troubling picture of the manner in which U.S. relief and reconstructions efforts have been conducted so far”. They note, for instance, that contractors have hired far fewer Haitians than promised, while Haitian businesses have been largely excluded from U.S.-funded projects. In addition, goals have reportedly gone unmet, grantees have received inadequate supervision, and USAID had not conducted internal financial reviews of contractors. Of the 1.15 billion dollars in U.S. contracts and grants awarded since the earthquake, Johnston and Main report that “over half went to the top 10 recipients of global USAID awards”, particularly a for-profit company called Chemonics International. In addition, less than one percent of USAID awards went directly to Haitian businesses or organisations. “There has been some coalescing in the development community around changing the traditional aid model, which involves increasing local procurement, and working closer with host countries,” Johnston, a research associate with CEPR, told IPS. “I am very much in agreement – we just don’t know where this money has gone. There is a real lack of transparency around this money,” Vijaya Ramachandran, a senior fellow at the Centre for Global Development (CGD), a non-profit Washington think tank, who has also written extensively on U.S. aid to Haiti, told IPS. She says no hard data is publicly available on how many people U.S. funding has helped in Haiti, and echoes the report’s terminology, calling the whole situation a “black box”. “I think this kind of situation is worse when money has been distributed following a major disaster, like the earthquake in Haiti, where money is rounded up and sent quickly,” Ramachandran said. Some have also argued that certain information should not be released given that countries are competing with each other for contracts. But Ramachandran rejects this on the basis that public money requires greater transparency regarding cost-effectiveness – on both sides. Johnston and Main also note that USAID has taken further steps to keep this information out of the public realm, having reportedly blocked various attempts at disclosure, including through Freedom of Information Act requests. “Issues like accountability and transparency are incredibly important, especially to ensure the Haitian government is taking a leading role in the reconstruction of their country and that they know what is actually going on with all the different aid agencies that are operating there,” Johnston said. “It’s hard to say if this is totally unique to the Haiti experience … in other countries, USAID has gone further in terms of a reform agenda,” he continued. Still, he says he hopes the new report can act as a “wake-up call”, potentially strengthening reformers within USAID. “Of course, there is a lot of resistance to change, especially when some of the largest recipients of contracts in Haiti are the for-profit development companies that have hired a lobbyist to push back on these reforms,” Johnston said. Unfortunately there are no easy solutions for Haiti. There is no quick fix. The world looks down on Haiti and this view is well deserved, trying to guilt monger the world to think different will not help Haiti achieve real self sufficiency and respect. Lets state the obvious, the earthquake and all its damage is not the problem. It is impossible to improve Haiti’s situation as long as politically correct thinking is used. Toughing money at Haiti will do noting to improve Haiti’s situation, in fact it actually makes things worse in the long run. I will start with the hardest first, dump the French creole language. If NGO’s want to waste there money do it on this. An all out effort to make English operationally the language read, spoken and written. This will take at least a couple of generations. And yes government declarations “this is the new language” will do nothing. It will take a sustained in the trenches multi generational effort to make this change. One way forward is to involve Haiti with the rest of the world from a position of strength. This requires an honest assessment. Haiti needs to use its strength to build what it lacks. It is totally deficient in nerdy high tech people who will not choose the corruption that is endemic in Haiti. How to get it? Prostitution, something Haiti has in great abundance. Design tourism to attract and incentivize participation of the nerdy types. Get creative, half off if your a computer program from Sunnyvale. The goal is for the local girls to make babies with these nerds and to involve them in the day to day life of Haitians.